Avarez Brand Baglama Saz 8 String Set SAZS. The Avarez brand AS-910 string set for the Baglama saz includes eight strings each at least 48 inches in length packaged in three envelopes. Envelope 1: RE has four plain steel 0.007 inch strings with straight ends. 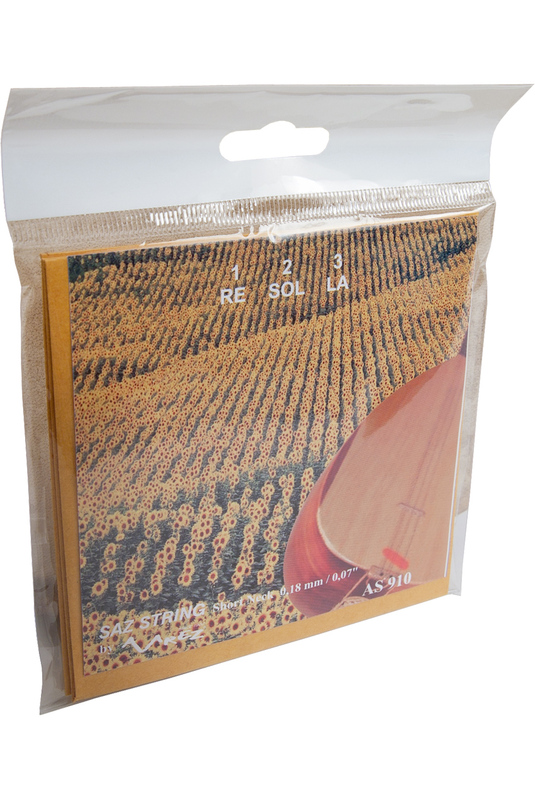 Envelope 2: SOL has two plain steel 0.012 inch strings with straight ends. Envelope 3: LA has two silver wound looped end steel strings, one is 0.014 inch and the other is 0.023 inch. For RE SOL LA tuning.